Southwest Florida offers us sun, sea and nature. It’s such an enticing place to live that it’s easy to overlook something we’ve stopped creating: great towns and cities. Our suburban development patterns require affordable fuel and endless road expansions. Fuel prices have been dropping, but how much wider can our roads get? Even if we could afford to keep widening them, wide roads make dreary public spaces that diminish the quality of our lives. New construction is resuming after nearly a decade of recession now that the glut of vacant houses and stores are finally being absorbed. How can we make southwest Florida a better place to live and a place that continues to appeal to visitors and future residents? I believe that the days of expanding our communities ever further outward will lose its appeal once pre-recession traffic congestion returns to our daily lives. This congestion isn’t caused by poor performance by our departments of transportation; it’s caused by development patterns that require most people to drive long distances to get anywhere. Our economy will be stronger when it begins producing the compact communities that many people want but are unable to find in southwest Florida. We can accommodate newcomers by redeveloping abandoned shopping centers, obsolete mobile home parks, and skipped-over vacant tracts. We don’t need to keep paving over nature or farmland. Our systems for planning and regulating new development need to be reconfigured from the ground up so they produce great towns and cities rather than just the isolated subdivisions of recent decades. 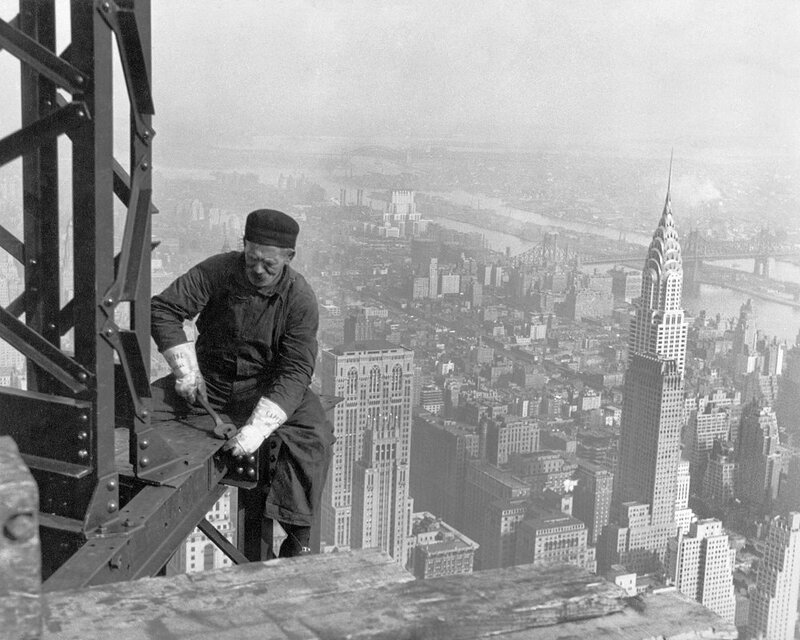 Great cities are collections of great neighborhoods. What makes a neighborhood great? Great neighborhoods have streets that encourage walking and bicycling as well as driving. Great neighborhoods are compact enough to have neighborhood schools, parks, and shopping for daily needs. Great neighborhoods have a variety of housing – single-family homes, townhouses, garage apartments, and condos. Why should every house on a block be the same size and look alike? Why should families or retirees have to move away just because they need a larger or smaller house? And great neighborhoods have access to public transportation, allowing independence to those who don’t drive, especially the elderly and the young. Even those with cars shouldn’t have to drive for every trip they make. Can we have convenient public transportation in southwest Florida? Conventional wisdom says you can’t have transit without compact neighborhoods — yet history shows that compact neighborhoods emerge around transit. 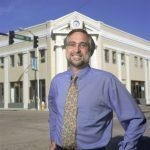 A long-range plan for better public transportation in Lee and northern Collier County is being considered by the Lee County Metropolitan Planning Organization, which is made up of elected city and county officials. Today the rail line that connects Fort Myers to Bonita Springs is used only for occasional freight and excursion trains. 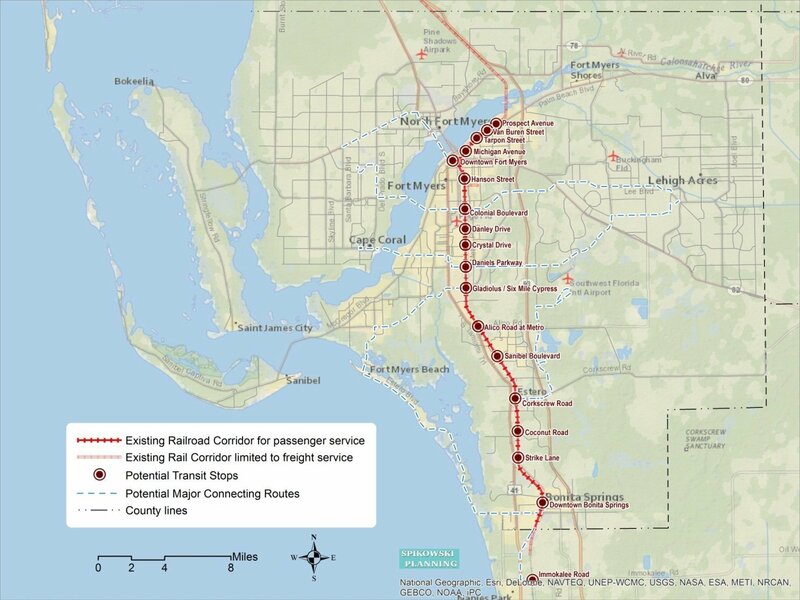 If electric “light rail” service or commuter trains were added, passengers could travel smoothly and quietly on a route parallel to US 41 from east Fort Myers to northern Collier County. Each passenger station could be the nucleus of a compact walkable neighborhood that’s connected to the rest of Lee County with high-quality public transportation. A trail system in the rail corridor would allow walking and biking in a car-free environment. Small European streetcars that operate like buses but are powered by electricity and roll on rails embedded in regular streets. Rubber-tired buses that operate like trains on bus-only lanes. Our governments plan boldly for new roads that may be needed in the future. That same attitude can lay the groundwork today for excellent public transportation in the future. Learn more about compact walkable neighborhoods from the Congress for the New Urbanism and Better Cities & Towns.